This UK based site contains many useful audio links, and favours the creative DIY constructor who wants to save money, or simply build something original. Some things, like cables, are fairly simple. Others like tube amps are difficult but rewarding and need to be built and used with caution because of the high voltages they contain. The various links should hopefully interest both the novice and the enthusiast. www.audioweb.com Reviews, equipment sales and audio data - not much discussion. http://www.earthcurrents.com/london-live/more.htm London HiFi circle. Meets once a month. www.audioasylum.com Users group for high end and DIY audio gear. Good archives. www.audioxpress.com Audio Express – Glass Audio, Speaker Builder etc. http://audioweb.com/ The Audio Web - Equipment links. http://www.qkits.com/ Quality Kits. Canadian site includes Velleman and Maplin. http://user.tninet.se/~vhw129w/mt_audio_design/ MT Audio Design Swedish site for Quad ESL, tube amps, speakers. Excellent links for electrostatic speakers and HiFi sites. http://www.korato.com/ Serbian tube and audio company. http://www.pcavtech.com/ PC soundcards - tests and data. http://members.aol.com/sbench101/ Steve Bench Very good projects and schematics inc battery tube designs, tube active crossover etc. http://www.geocities.com/ResearchTriangle/8231/ Andrea Ciuffoli site with loads of links, MOSfet + OTL amps, CD players, in-car audio etc. www.decware.com Decware high performance audio. 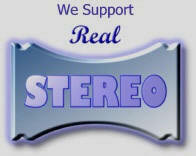 Amps, speakers, speaker unit repairs, classifieds, links, Decware forum. http://www.cfmedia.org Chris Found – DACs, projects and official Beard Audio Service site. http://www.aikenamps.com/ Runs through the basics and more advanced tech talk – guitar amps etc. 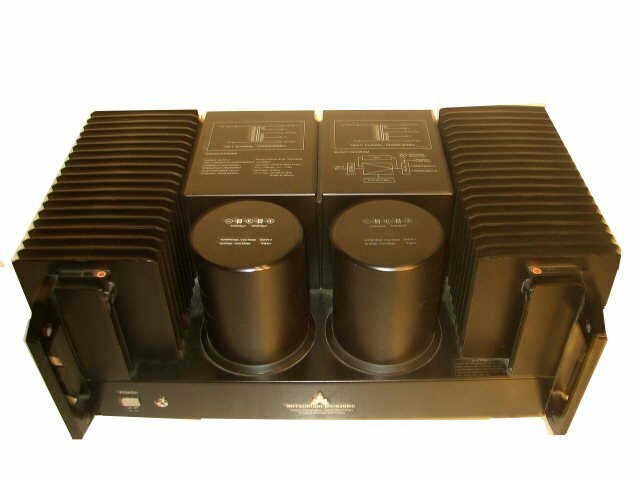 www.audio-consulting.ch Serge Schmidlin of Geneva – also do transformer pots. http://www.tribute-audio.nl/ Tribute in The Netherlands - a pair of SE 5K 100mA OPT's amorphous core cost about $400. http://www.apgate.com/elec/company/co_8743.htm Danbury transformers Danbury Electronics, South Woodham Ferrers. http://www.audes.ee/?PHPSESSID=f8982397b9af37af386fc02cd8e7b78b Audes Estonia, transformers etc. http://www.duncanamps.com Duncan Munro: BEST NET SCHEMATICS LIST lots of TUBE DATA, plus SPICE models, schematics - a must-visit site ALSO Duncan amps has free downloadable software for simulating PSU designs of different types. It allows you to include parameters such as choke resistance, and inductance, capacitor ESR, and many different PSU configurations. http://www.atma-sphere.com Atma-sphere tube kits etc. http://www.geocities.com/ResearchTriangle/8231/se/fleshblood.html Steve Reichart Flesh and Blood 300B tube amp kit. http://www.curcioaudio.com/ Curcio DIY audio designs, including tube preamp kits and amplifier designs. http://www.audionote.co.uk Audio Note UK, kits etc. http://www.tubehifi.com/ Antique Sound Labs tube amps. http://www.hi-fiworld.co.uk/ HiFi World. UK magazine, supplies tube kits. www.degryse.com + click on "The DIY Paradisio". Belgian site with plenty of components: tubes, transfos..
http://www.bvws.org.uk National Vintage Communications Fair NVCF At the NEC Birmingham – excellent marketplace for old stuff – tube amps, parts, tubes etc. http://home.earthlink.net/~aprilsound/gallery.html PP 2a3 Tube-O-Saurus Amplifier 5w Class A after Loesch/Morrison etc. http://www.montagar.com/~patj/electroprojects.htm Tube circuits, battery charger etc. www.VT52.com Good tube site, includes AVO mk 4 settings for 6N30, 6B4G Sovtek etc. #Stage gear – amps etc. www.wiwitubes.com/tube.html Tubes + DATA Useful Photos of tubes and their boxes. http://www.angela.com/ USA supplier of parts, tubes etc. http://www.triodeel.com/ Ned Carlson's excellent site. For tubes, tons of links, etc. http://www.chariot.net.au/~lucas/v/Valves.html Adelaide valves, Australia + sockets, misc. http://www.arrakis.es/~igapop Igor’s tube selection - Spain. Good selection of Russian tubes. http://www.kolumbus.fi/flait/techzotic/ Cheap Russian tube suppliers Good prices for 50s St. Petersburg (and Vantaa, Finland). http://kwtubes.s5.com/ Russian tubes supplier, Lithuania (Gintaras) – reputedly good to deal with. Audio Note (Uk) Ltd., www.audionote.co.uk/ Unit 1, Block C, Hove Business Centre, Fonthill Road, Hove, Sussex, BN3 6HA (01273-885511, 220511; fax 01273-731498). Audio valves. Edicron Ltd., http://www.edicron.com/ Park Road, Faringdon, Berks., SN7 7BP (01367-243030; fax 01367-243131). No minimum order size. Anode Electronics Ltd, 80d Hyde Park Road, Plymouth, Devon, PL3 4RQ (01752-673356). Sound Systems, 111 Felixstowe Road, Ipswich, Suffolk, IP3 8EA. NOS valves and valve-era components. Sussex Surplus, Oak Farm, Goose Lane, Thakeham, West Sussex, RH20 2LW Tel 01 798 817 496 fax 01 798 817 560. Philip TAYLOR, 3 Silver Lane, Billingshurst, Sussex, RH14 0RP. Good for obscure types. Tube Technology, Foxhills Farm, Longcross Road, Ottershaw, Surrey, KT16 0DN (01932-873444, fax 01932-873012). UK distributor for Gold Aero audio valves from the USA. NB The book Principles of Power by Kevin O'Connor covers hybrid amps. #Digital Audio – Amps, soundcards, DACs, CD, DVD, DAT etc. http://mywebpages.comcast.net/cbrodersen/audio.html Tripath class T digital amp DIY design. www.pricewatch.com lowest price - watch out for shipping costs! http://linearteam.dk THE speaker design page – Juha Hartikainen – plus more stuff. http://sound.westhost.com/project09.htm Elliott Sound Products - Active crossovers etc. http://www.audiocomponents.nl/ Speaker suppliers – Holland. Good prices! dipoles-subscribe@topica.com Planar/dipole speaker list. To join, send a message to the email site and leave the subject line and the body of the message blank. 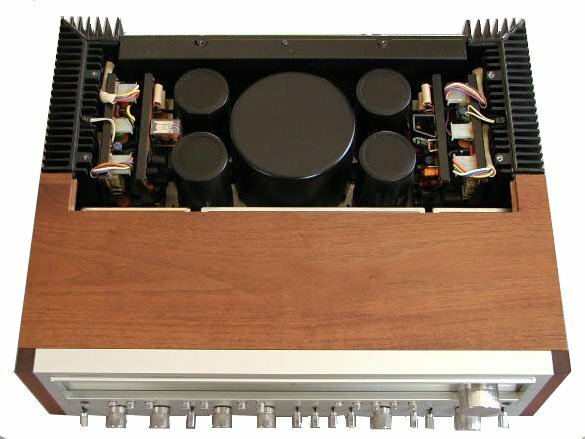 http://www.stereophile.com/showarchives.cgi?170 J. Gordon Holt: "Tweaking your Record-Player"
http://www.vandenhul.nl/artpap/turntabl.htm Laura Dearborn: "Turntable System Setup"
http://www.audiophilia.com/features/cartridge_setup.htm Andrew Chasin: "A Beginners Guide to Cartridge Setup"
http://users.nac.net/markowitzgd/cartalign.html Gary Markowitz: "Understanding the Issues behind Cartridge Alignment" – overhang etc. http://www.AudioAsylum.com/audio/vinyl/messages/819.html Thorsten Loech: "Setting Up Your FIRST Cartridge...". http://www.AudioAsylum.com/audio/vinyl/messages/1240.html Jon Risch: "VTA Once and for All!". Proposes a method for setting arm height. http://www.tnt-audio.com/accessories/hfnrrdisc_e.html Hi-Fi News & Record Review test record. www.vivante.co.uk Vivante deal mainly in new/used vinyl/CDs but do accessories as well. http://www.78tours.com/Expert_Stylus_Company.htm Supplier of replacement styli etc. http://www.musonic.co.uk/ Musonic, Watford UK - modern/vintage cartridges, styli and vinyl accessories. www.needledoctor.com Supplier of replacement styli etc. http://www.eifl.co.jp/index/export/export2.htm EIFL - Japanese supplier of modern/vintage cartridges like Denon DL-103 series. http://www.originlive.com/ UK supplier of modern/classic cartridges, Denon etc. http://www.jelco-ichikawa.co.jp/ Wholesaler of tonearm plugs, rewires, cables etc. http://www.hifituning.de German site selling EMT parts and other bits. http://www.feickert.de/index.html German site selling EMT parts and other bits. http://www.stefanopasini.it Good Italian site for EMT, Thorens, Garrard from author of ‘supercar’ books. Sites for cable information – interconnects, power and speaker cables. http://www.laventure.net/tourist/cables.htm Make your own Audio Cables site, specifically fine (not sterling) silver with teflon sleeving for speaker cable. http://www.geocities.com/venhaus1/index.html Chris Venhaus silver interconnects and CAT5 speaker cable. http://www.belden.com Beldon Cable site - huge stock of cable types. http://www.purenote.com/ Las Vegas handmade cable company. Magnum and Benchmark types. http://business.virgin.net/cad.cables/home.htm Campaign Audio Design. Handmade cables from Cardiff, Wales..Also sell lengths of silver wire for interconnects, speakers and arm rewiring. #Parts - Power supplies, batteries, resisters, capacitors etc. http://www.neutrik.com/start.asp Neutrik connectors, XLR, speakon etc. http://www.elproma.nl/ Elproma connectors, XLR, D connectors etc. http://www.audiosynthesis.co.uk/components.htm UK firm doing DACs, Preamps, parts etc. http://joelist.free.fr/schematics/Ronan%20Reg/ RonanReg regulator board for constant current DC supply to DHTs and other filaments. www.zalytron.com Good parts, e.g. cheap lockable RCA plugs with teflon insulation, wire etc. www.rfparts.com - they might have some nice finned caps available for tubes. http://pmillett.addr.com/829b_amplifier.htm , look most of the way down the page. For the 829B I pulled the guts out of a terminal block, replaced the screws with short set screws, and encased it in siicone tubing..
http://www.skycraftsurplus.com NASA’s car boot sale! Teflon insulated shielded hookup wire etc. http://www.bullnet.co.uk/shops/live/contents.htm Bull Surplus Tel 01273 491490. 250 Portland Road Hove Sussex BN3 5QT UK Some components, but mostly hardware. Large stocks, but note that they don’t do tubes any longer and have liquidated most audio stuff. www.trading-specialists.com Cyclops, UK – buy up surplus inventory from manufacturers etc. M&B Radio Ltd, 86 Bishopsgate Street Leeds, LS1 4BB Tel: +44 113-243 5649 Strong on ex-broadcast equipment, test gear in general. http://www.ecelectronics.co.uk/ 19” rack parts etc. http://www.handytools.co.uk/ Retailer - power tools – UK Good prices!! http://www.maxwellsdiy.co.uk/ Retailer - power tools – UK (N.E.) Good prices!! www.orcad.com Schematic design software. Student version of PSpice is free. http://www.audiotechnica.com/ Audio Technica cartridges, microphones etc. http://www.divertech.com/ Divergent Technologies Canada - distribute van den Hul cartridges, cable etc. http://www.dact.com/index.html Danish Audio Connect - phono stages, stepped attenuators etc. we hope you find what you are serching for..we updating this site as much as we can..If you want to use some of our material....you should reveal your source!